@kelbertmcfarland Takeover Day 2: Let's just start off with black and white film. It's been around all these years for a reason. There's nothing like it. The absence of color calls for the presence of so much more. You should never be afraid of black and white film. This image is a great example of what can be captured when color isn't there to distract. The room we were in didn't offer very much in the way of beautiful colors, so I placed the ladies in front of a window to illuminate their faces and asked them to chat a bit. I knew the laughter would begin and yield a classic image that would stand the test of time. That's what black and white film does. It produces images that last forever. This was captured with my Nikon FE with Kodak Tri-X 400. @kelbertmcfarland Takeover Day 2: As she stood there, I wondered what was she thinking. 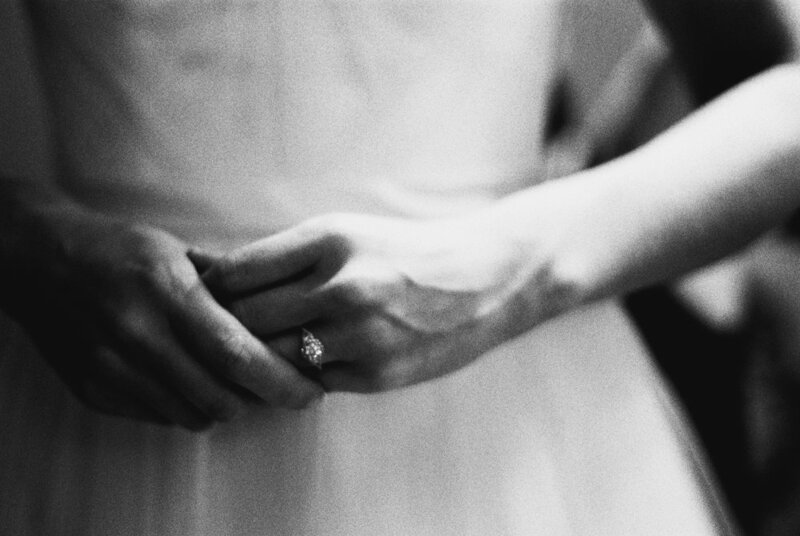 She held her hand, her fingers, ever so gently, yet with a slight sense of urgency. Could it be nerves or was it anticipation? Was it the thought of walking down the aisle to meet the one she would soon be joined to? I imagine it was a number of things. This small detail shot speaks volumes. It's not the typical invitation suite we've all grown accustomed to. It's not a shot of the rings. Those are all good, but there's always more that speaks to the wedding day. Take a second to look for those details as well. I used my Mamiya RZ 67 loaded with Ilford Delta 3200 for this shot. By the way, as much as is humanly possible, use this beautiful film stock. The softness and grain of Delta 3200 is unmatched and is a welcomed contrast in a very sharp digital world. @kelbertmcfarland Takeover Day 2: I love engagement shoots. I love the young, innocent, unconditional love that's palpable. I often encourage the groom-to-be to whisper something absurd and hilarious in the ear of the bride-to-be. When that happens, be ready! The emotion that follows usually yields the best shots of the day. That's what happened here. 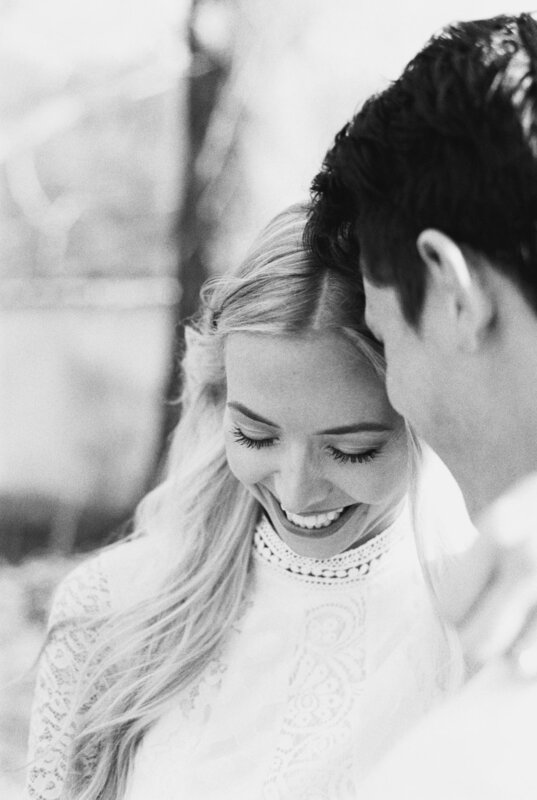 Anytime I can find a way to get the couple to a comfortable place where they forget I'm there, I know I'm about to capture an unrehearsed, genuine moment. Again, Tri-X 400 black and white film with my Nikon FE was my choice for this part of the day. I tend to shoot often with my 35mm because of the speed in which I'm able to shoot. As much as I love the sharp images of medium format cameras, there's something about that 35mm setup, it’s compact and allows more shots per roll, this helps keep me in a documentary mode. Maybe give it a try if you're not accustomed to it. You might find you like the freedom.